P.L.A.Y. Star (Value: $9) - My first thought? SUPER MARIO BROS SUPER STAR!! I have already decided that this is not going to the dogs; it's going straight to my shelf to be on display with the rest of my collectibles - minions, old coke bottles, Lego builds. You know, important stuff. Sorry, dogs. I love you but I also love the Mario Bros, and right now the Brothers are winning because I didn't step in their poop this morning. 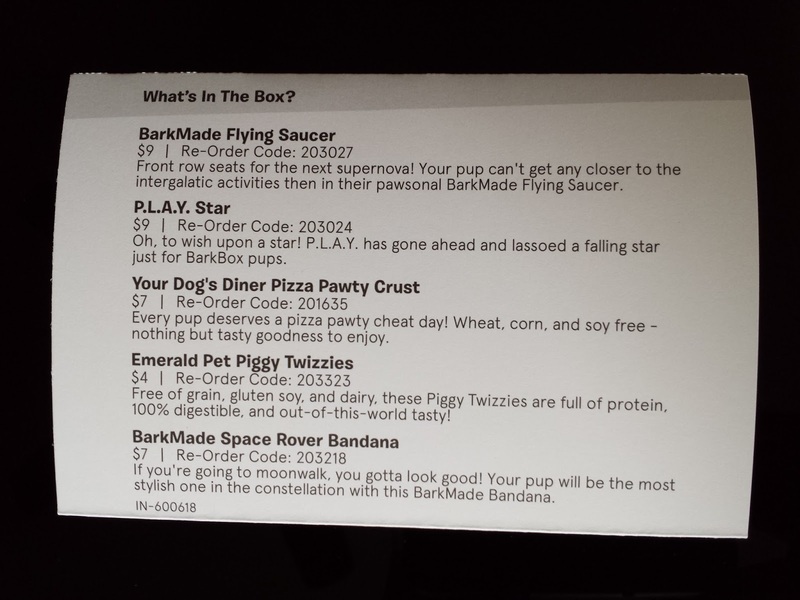 Think!Dog BarkMade Flying Saucer (Value: $9) - So BarkBox has been putting out their own (mostly plush) toys for about a year now and I think I've only given one or two of them to the pups because the rest are too freakin cute to part with. Kind of like how I can't part with the star. This is a pretty small toy with a honky squeaker that drove Pebbles nuts because I was hiding behind the kitchen island when I squeaked it and she went completely insane looking for the mystery toy. My dogs lack inhibition and will shred this till the cows come home. And I don't own cows so that means they'll never stop ripping it apart. 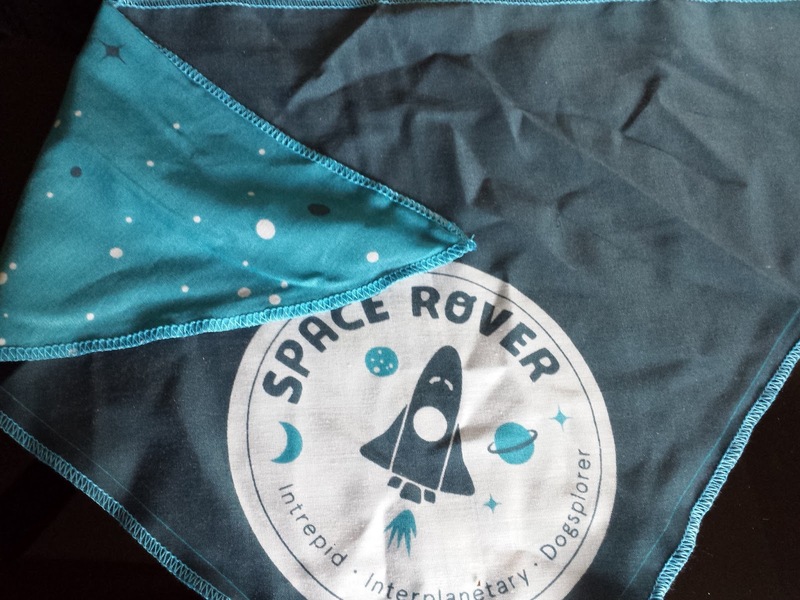 BarkMade Space Rover Bandana (Value: $7) - The last time we got a bandana for the pups was in December's box and the furturds ripped that to shreds before I could even make a fashion statement out of them. But now I can make furry astronauts and I'm 100% sure that's more awesome than Xmas corgis. They'll be space puppies for crying out loud! And this bandana is reversible! 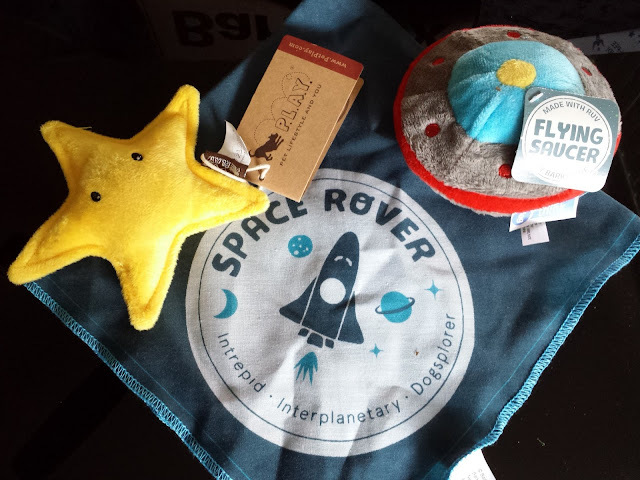 If your dog gets tired of being a space rover you can flip it over and he'll just be spiffy canine with a soft spot for celestial objects. 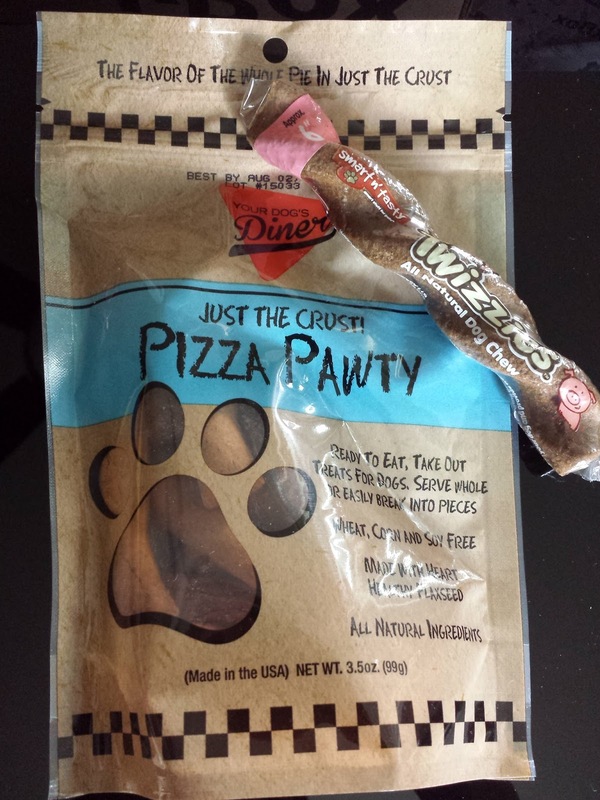 Your Dog's Diner Pizza Pawty Crust (Value: $7) - We've only tried this brand once before and it was a doggy meatball seasoning mix. Macho's birthday was right around the corner at the time so of course I had to make a 1/2 lb meatball for him. 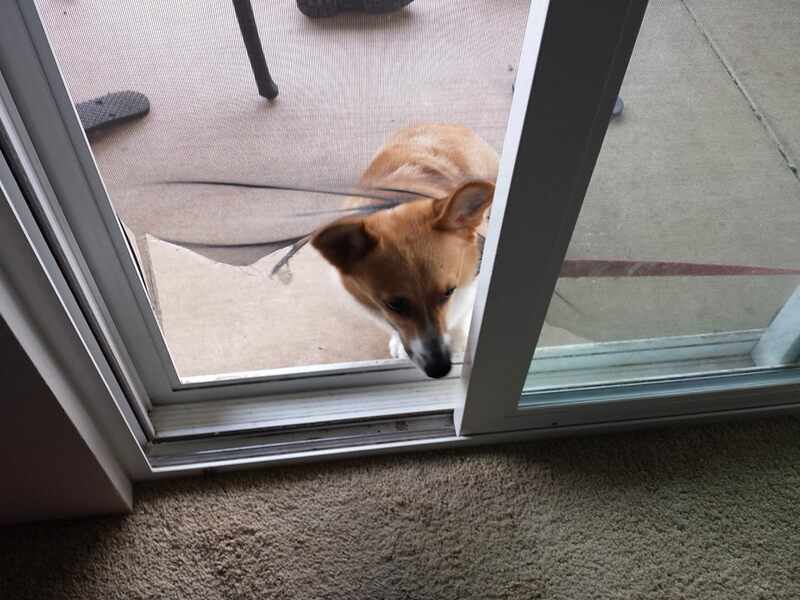 Then just as expected, Pebbles yoinked it from under his nose and took it onto the carpet to eat. And all Macho did was watch and make a sad face. At least now we know who the alpha is. Anyway, these are preservative-free organic biscuit sticks. Flour, cheese, beef, flaxseed, oregano, and basil. That's all. Smells exactly like pizza yet it's actually pretty tasteless (I tried it so you don't have to), but this is probably the doggy equivalent of real pizza. Pebbles drooled while watching me open the bag. And yup, she loves it. 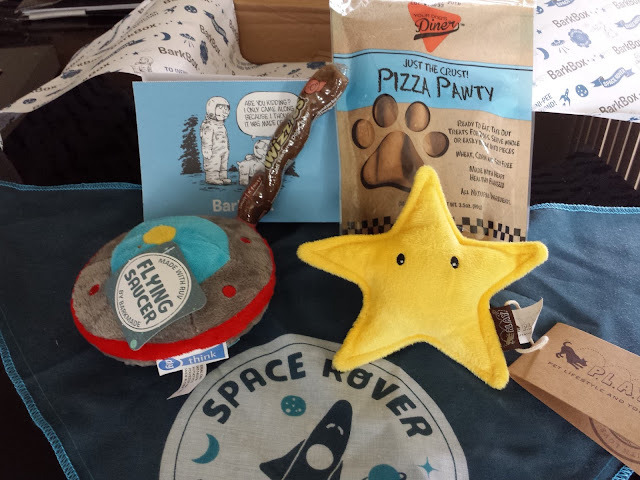 This was another super cute Barkbox though I'm not sure how much use we'll get out of everything. Well the star is going up on display so I guess that counts as using it. But the UFO is way too cute for my destrucodogs and I'm debating whether I want to risk getting another bandana stuck in the middle of a game of tug of war before the pups even get to wear it. At least the treats will be thoroughly enjoyed! If you like to spoil your dog, I highly recommend BarkBox. Actually, I recommend it even if you don't spoil your dog because it saves you a trip to the pet store every month and risking buying waaay too much stuff. Like the 50,000 toys you don't need BUT THERE'S A BUY 9 GET THE 10th FREE SALE GOING ON SO I HAVE TO. AND I HAVE TO BUY 49,990 MORE BECAUSE THEY'RE SO DARN CUTE. I've been a victim of those sales for way too long. 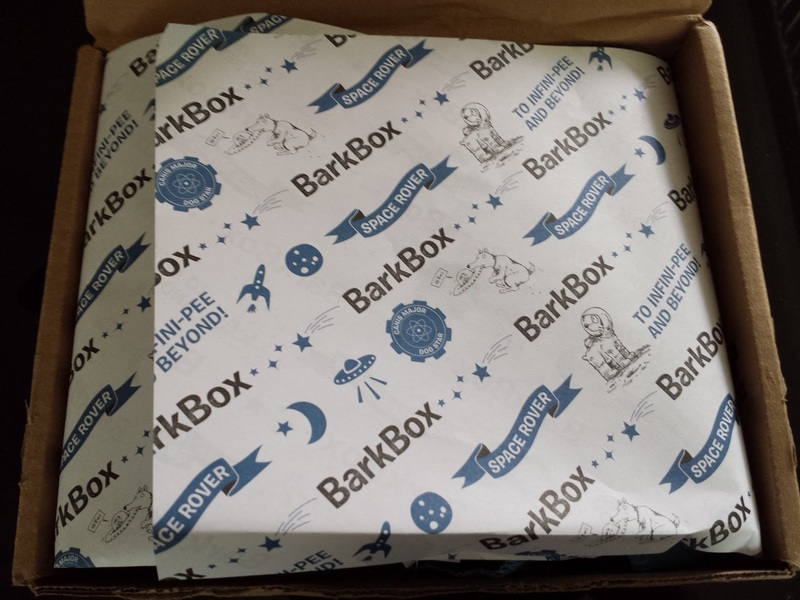 Each BarkBox usually comes with five items - two toys, two treats, and a chew. 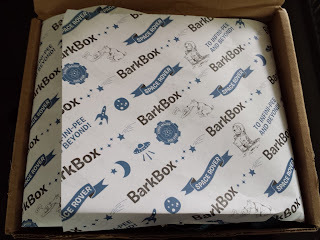 This was my first subscription box and I still love seeing it at my door each month. You can sign up here for as low as $18/month -- plus get a free box tacked on to your subscription just for using my link! Thanks in advance if you use it! Ooo! Naughty Macho! How did that happen?? Did he not see it? Did he really have to pee?